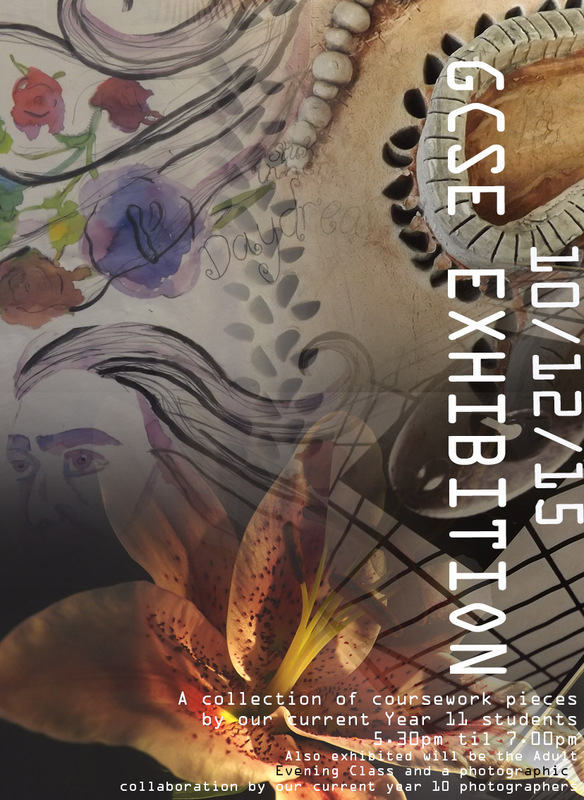 We have great pleasure in inviting you all to our GCSE Art Exhibition on Thursday 10th December. There will be a collection of coursework pieces by our current Year 11 GCSE students. Also exhibited will be the Adult Evening Class and a photographic collaboration by our current Year 10 photographers.